A truly extraordinary Leica camera. The material chosen for this unique model is fine beechwood. Two interchangeable lenses and a mechanical shutter release make for great photographic fun. The design pays homage to the Leica M and the camera comes complete with strap lugs and the legendary Leica red dot. 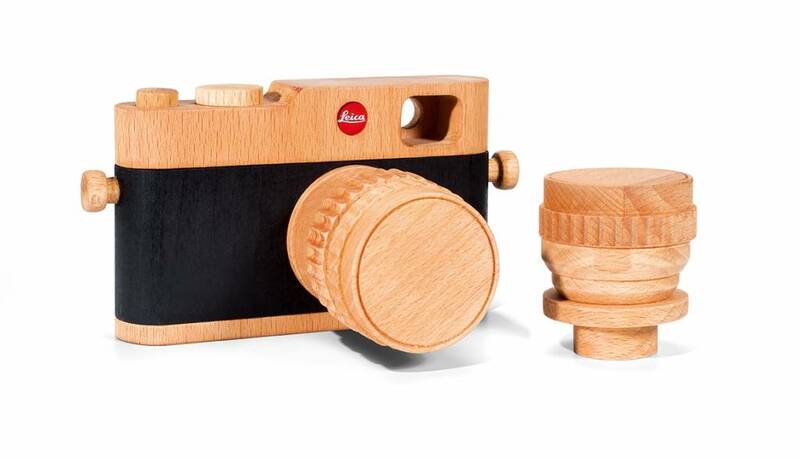 This realistic replica of a Leica, handcrafted in wood in Germany, is something no collection should be without. Not suitable for children under 14.